The webcam looker turns your computer into a comprehensive powerful video security system to keep an eye on your home,business,school,etc where webcams or cctvs and other video capturing devices are available. 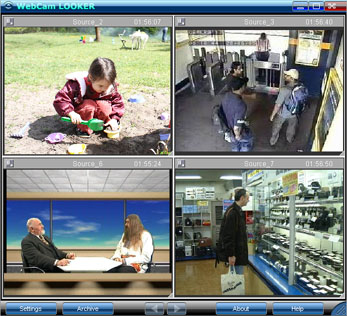 Webcam looker is a Surveillance software which provides you the features to capture images and videos from analogue or digital cameras. Webcam looker supports various numbers of video making devices(ie video sources).You can checkout images and videos from all cameras by simultaneously changing the cameras from main application window. 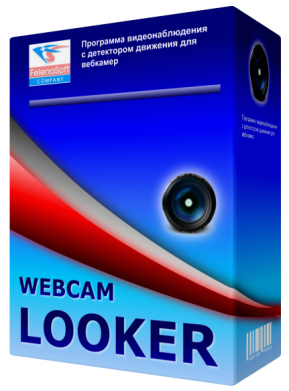 Webcam looker has a highly optimized motion detection feature available in it. As soon as the motion is detected in monitoring area,the program generates an alert so that you get alert. Webcam Looker video surveillance software allows you to choose any 12 of alerting actions like sending email with attached image to your registered email address,short messaging service(sms),Skype,archiving and then saving video and snapshots to your system,sound an alert alarm,upload captured images to the Internet via FTP or HTTP and much more.